NaGa Solar and its partners support your project in a unique way, by virtue of their industry relevant expertise. With success as a proven result. Whether you are an agricultural broker, investor or landowner. Through our proficiency and network of partners, we always offer a tailor made solution in line with your requirements. Providing the best professional international experience and quality available on the market. The following partners have helped us to create extraordinary projects from the ground up and have provided us with the necessary resources. By sharing equal values, we strive for a better environment and a cleaner future for the next generations to come. In 2007 established German EPC company with a Dutch office in Maastricht. Centroplan is specialised in the realisation of rooftop and ground mounted solar projects. With experience in several countries in and outside Europe. This is our partner that installs the solar panels at location. This is a local energy co-operation. Established to facilitate local residents with the possibility to invest in solar panels placed at a central location. As a result, they will receive tax adjustments for the generated solar energy. It is an example of NaGa Solar’s participation in projects within the region. Henny Pelsers, our CEO is also Chairman of this co-operation. Together with Jan Bijen, Secretary and Sjaak de Zeeuw, Treasurer. All of them contribute to smooth operations with the knowledge they have within the solar energy sector, hand in hand with a well-established governmental network. LWV stands for Limburgse Werkgevers Vereniging (Employer Association). As NaGa Solar is a real “Limburgs” company this association is in perfect fit when it comes to our view to local participation. This collective of local businesses stimulates expertise in the fields of infrastructure, labour, education and innovation. Which they do by connecting organisations and professionals within Limburg. LWV represents and creates a voice for companies within the region of Limburg, mainly to adres the local government, municipalities and national politics. NaGa Solar’s view is of great coherence with that of LWV. We support local projects, organisations and professionals. Demonstrated by our portfolio with a variety of local projects, which continues to grow. Hand in hand with, the involvement of local professionals in various fields. Our go-to partner in landscape architecture is ROM3d. This partner enables us to visualise the solar solutions we create. Especially for ground solar solutions that are place close to residential areas. Such visualisation makes it possible for us to show residents what their view will look like once the solar panels have been placed. A great solution for us to visualise our projects, more importantly to tackle any resistance from the pubic, by already providing visual evidence of what the impact is of a specific project for a specific resident. Additionally, it creates a more solid base to get building permits approved by the municipality or government. MVV is a local professional football team that competes in the Jupiler League. Established in 1902, it is the oldest professional team in the area. On top of our yearly contribution to MVV as a business sponsor, NaGa Solar is also proud partner in realising solar solutions for MVV’s Stadium “Stadion de Geusselt” in Maastricht. This partnership is one of the examples of NaGa’s local participation and interest in collaborating with local businesses and organisations. This is the first project where small-scale solar investments will be made available to the local supporters of MVV. With the supporters base of a team such as MVV, the perfect opportunity is created for NaGa Solar to establish a local footprint in this specific area. More about this project can be found on our projects page. Holland Solar, has been established in 1983, and it is the industry association of the Dutch solar energy sector. It strives for solar energy to become the most important source of energy in the Netherlands. The members of this association are companies that operatie in the solar energy market. Holland Solar inspires, informs, connects and professionalises the Dutch solar energy sector. On top of this, it influences relevant decision making in law-making, rule setting and grant creation. Their self-claimed main activities are; to present the interests of its members, providing information and promoting solar energy, and increasing the quality and safety in the sector. As of its operations in the solar energy sector, NaGa Solar is a proud member of Holland Solar. Staal is a long-established real-estate office that NaGa Solar works closely together with on various projects located in Southwest Netherlands. Together we search the market for suitable locations to build renewable energy plants. While baring in mind the desires of the land owners. We combine this with the wishes of local residents, townships, local energy co-operations and other relevant stakeholders. Ekwadraat is an advisory firm for local renewable energy. 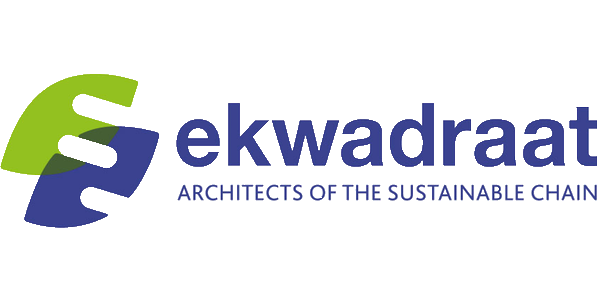 In this collaboration Ekwadraat is our partner in projects in the region of North-Netherlands. They assist NaGa Solar in project preparations, permits and grants.